You really don’t have to shell out the big bucks for new furniture. Instead, you just have to shell out some of your time and handiwork. For example, do you need a new bookshelf? Well, check out our list below. 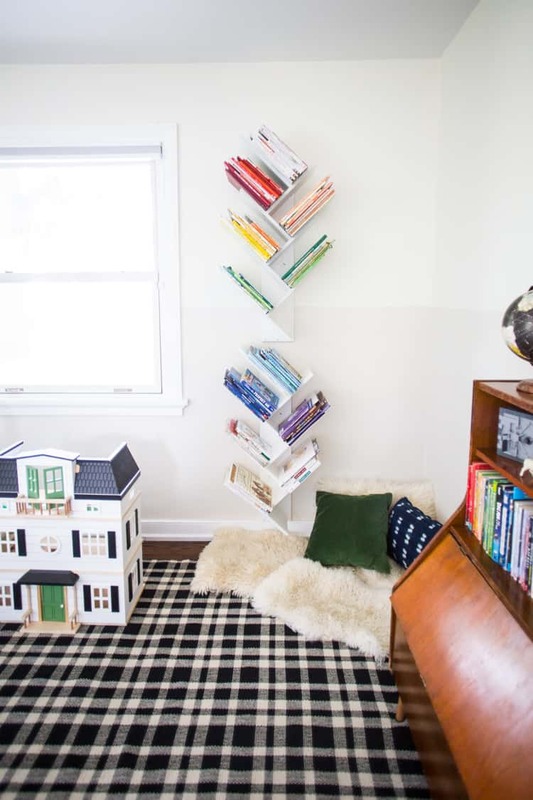 These 15 DIY bookshelves are perfect for organizing and displaying you favorite stories. Take a peek and see if one of the projects strikes your fancy! 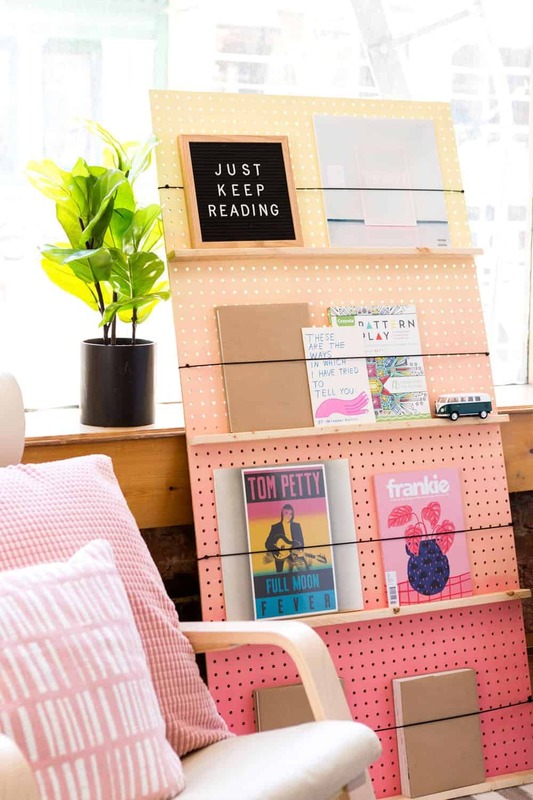 Brit + Co begins our bookshelf journey with this ingeiuns pegboard option. 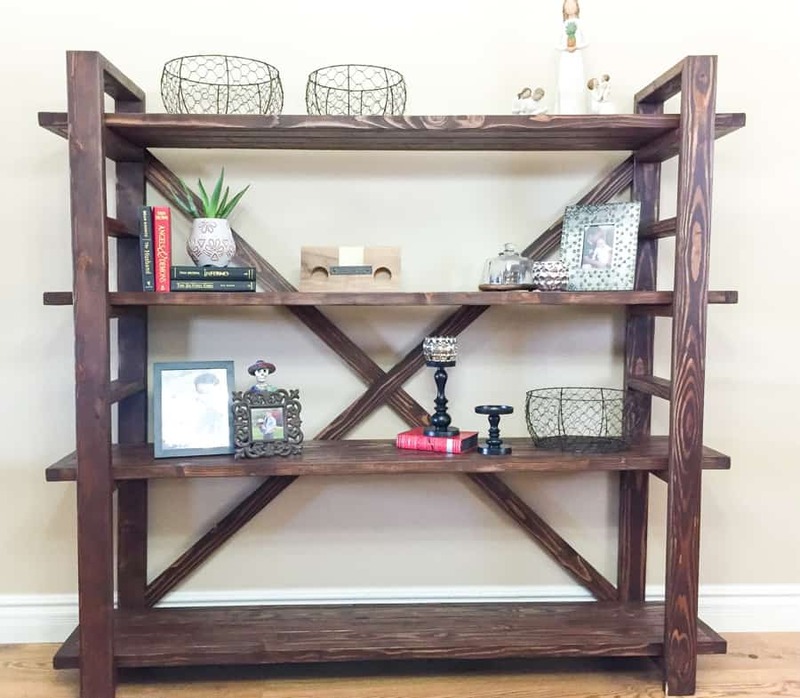 Marked with an imbre finish and with a style fit for both play rooms and feminine home offices a like, it’s one of our favorite designs on the list. If you don’t have too large of a book collection, this may be right up your alley. Creates work well too – as they do with most projects. 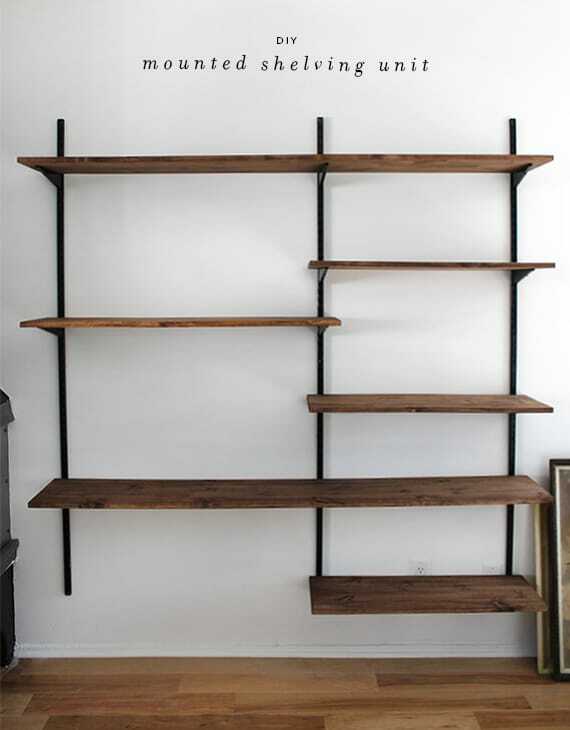 Tara Michelle Interiors utilized some classic wood ones and turned them into an innovative bookshelf design. 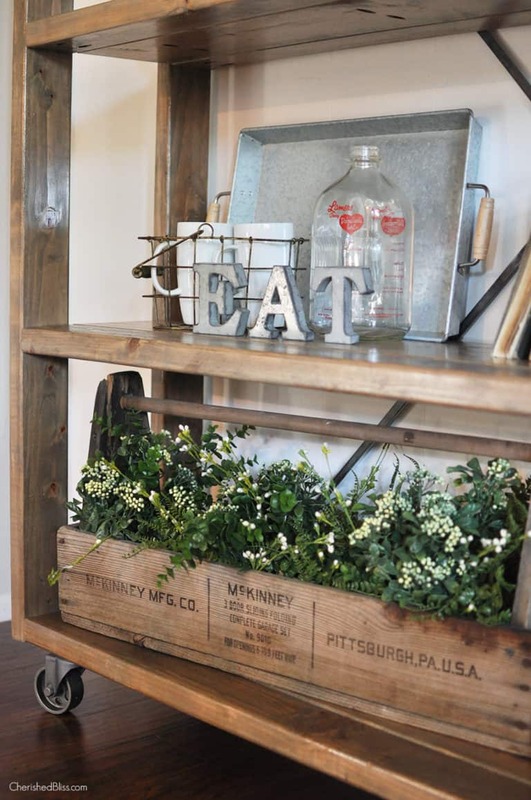 You’ll be able to fit so much inside and add a quirky, farmhouse-styled piece to the layout of any room. Library shelving is so luxurious and beautiful. Thankfully, you can do this in your own home without the help of a builder or extra-expensive handy man. Just check out BHG for all the deets. 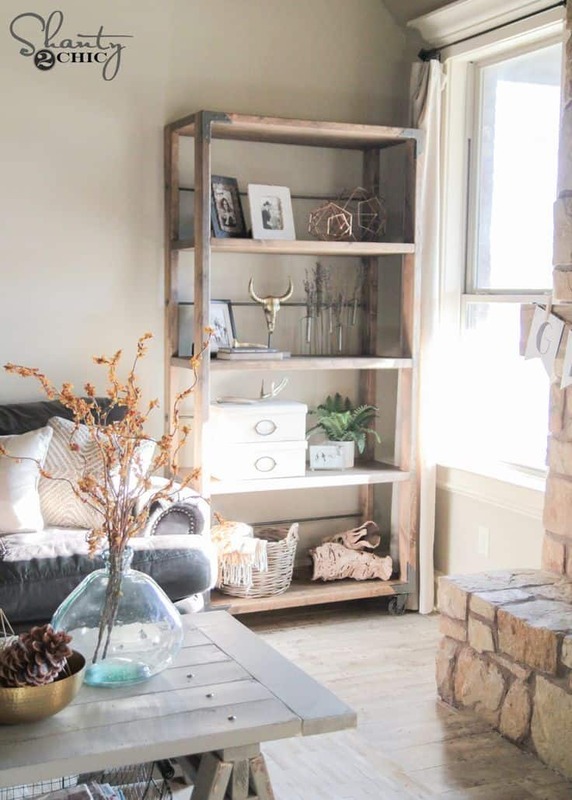 Of course, there are some of us that will want a rustic, simpler design. And that’s where this piece from The House of Wood comes in handle. It’ll fit alot and you can make it a bit smaller or larger than this foundational design depending on your needs. Almost Makes Perfect went with a mounted option. 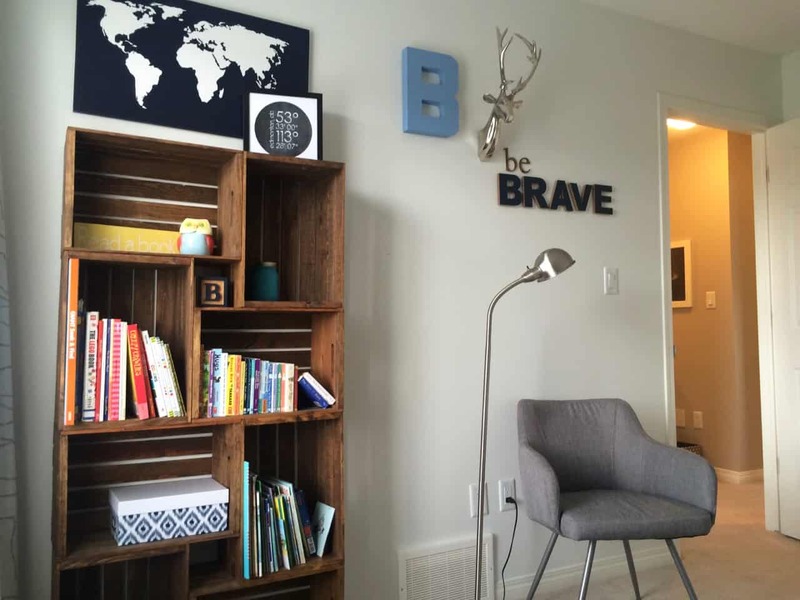 If you don’t have the square footage to work with, then you’ll need to figure out how to get your books up and off the floor – and out of the corners. And this particular look is super trendy with its mixed material finish. Shaty 2 Chic has a more industrial look that you’ll love. This one is really versatile and would definintely fit inside a variety of homes – from more traditional or modern. It’s not too chunky either, so hop on over and grab the deets now. 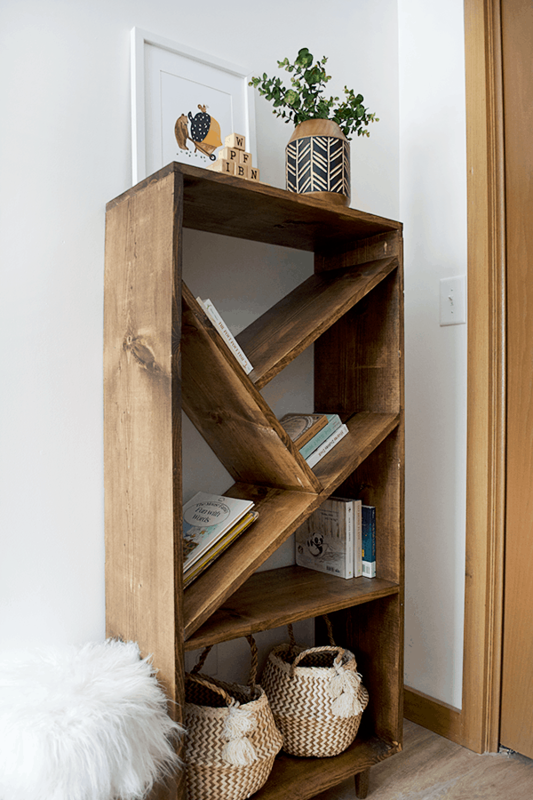 If you’re looking to create a bookshelf for the kids, hop on over to Sprinkled with Sawdust. 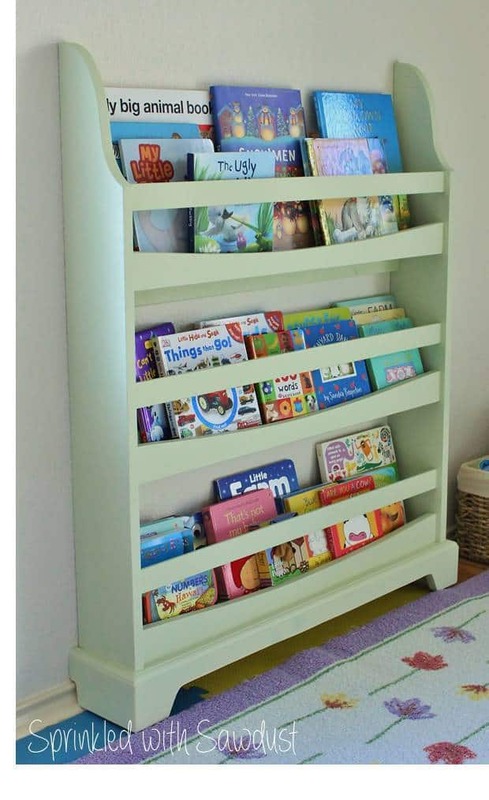 This piece will slide smoothly into corners or smaller spaces, all while displaying and organizing the kiddos’ stories nicely. And it can be painted any color you’d like. The House of Wood has another design that we’re swooning for up their sleeve. 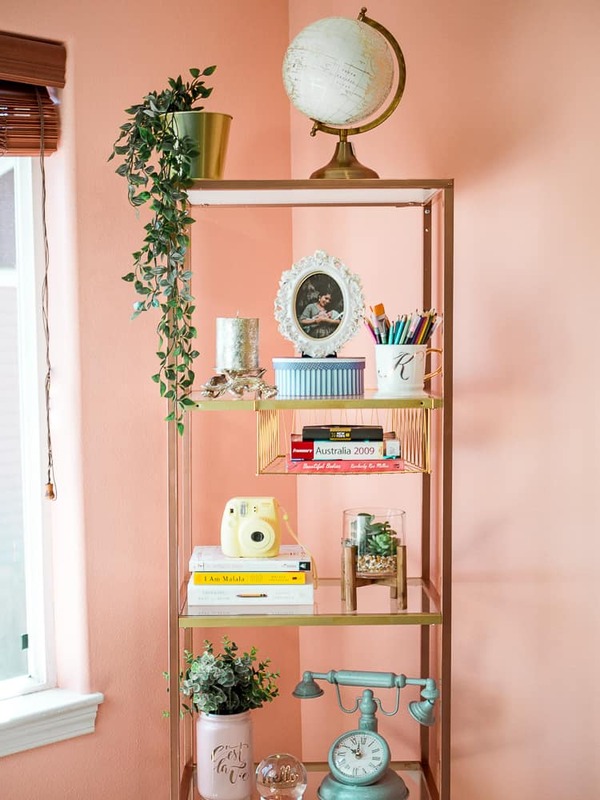 This is both a bookshelf and a side table. Theoretically, this piece could literally fit inside any room of the house. The Merrythought went with wood as their foundational material. And its chic, simple design is a gift to all. We love the natural wood used for its creation but also love how it could easily be painted a midnight black or sapphire blue and change the entire ethos. 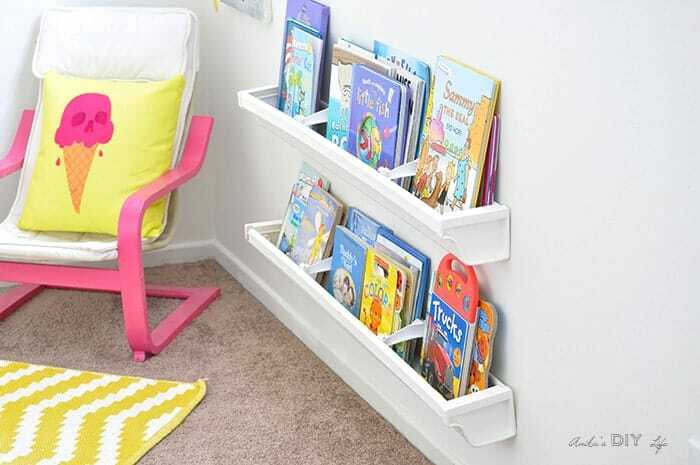 Maybe your needs inclue a shelf that can be wheeled around. If that sounds like you and your home, check out Cherish Bliss. 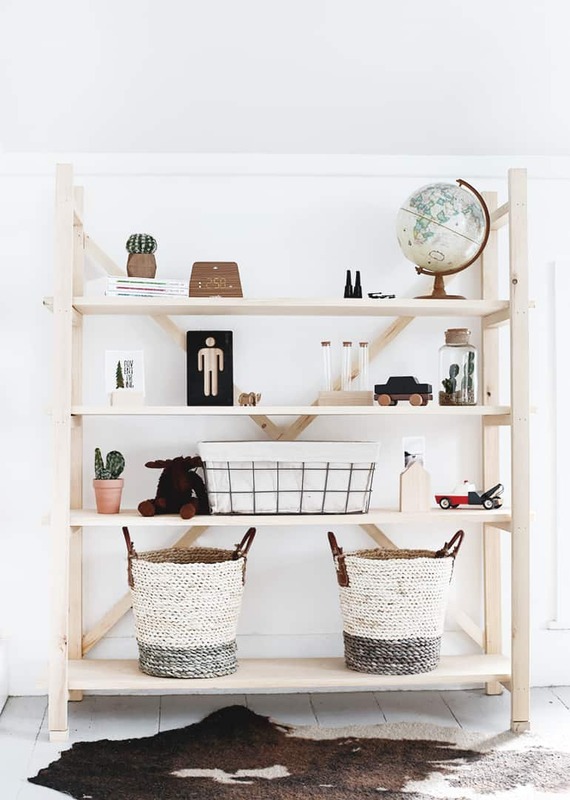 This carted version will be a defininte lifesaver for our smaller spaces. Live Free Creative has a really creative idea featured. We love this design because it’s both functional and stands as a piece of art for the home. Slide this beauty into the playroom or even the guest area. Who knew rain gutters could be turned into something so chic for INSIDE the house? Well, Anika’s DIY Life sure did and she’ll walk you through the entire process on how to get it right. Add a splash of color if you want a nice pop on the walls. If you want an offbeat pop to your home but hidden inside neutral spaces, then this angled design is definintely what you’ll want to take a second look at. We’re loving the mix of bohemian energy with contemporary style. Grab the details at brepurposed. 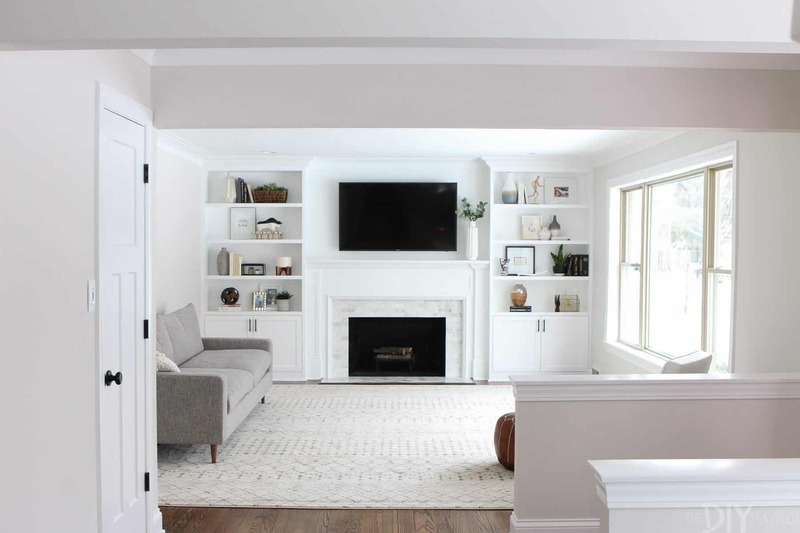 The DIY Playbook will guide you through the process of adding built-ins to your home. Our favorite of the bunch, if you have the space to do it – then go for it! We love this white, chic space and all the possibilities of styling it has to offer. And finally, SveetesKapes gives us this glam DIY that we’re swooning for. What’s the best part though? It only cost $40 to create. 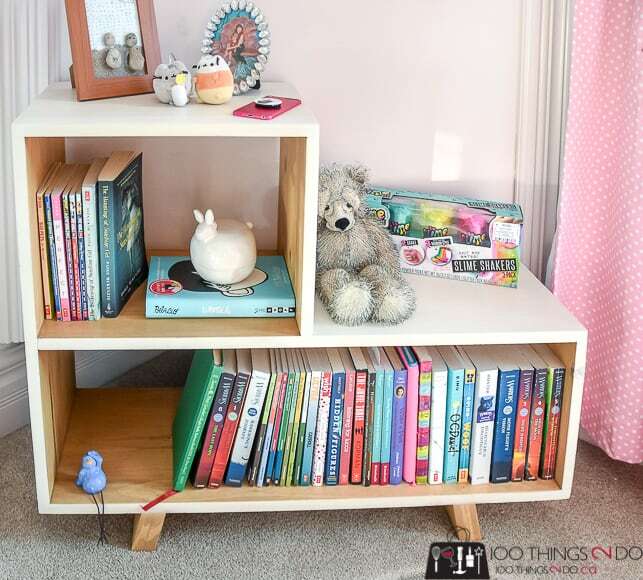 The post 15 DIY Bookshelves To Organize & Display Your Fav Stories appeared first on DIYs.com.